Though I jot down quick thoughts quite often on Twitter, which appears on the sidebar of Leith Street, I’ve been out of action in terms of updating Leith Street for a long time. My feeble excuse is that I’ve been pretty busy with work and business. It’s a pretty lousy excuse I know. So now I’m back with a post to update on what’s been going. For my own good, I hope I’ll continue on Leith Street. Well, actually hope isn’t a strategy so what I’ve done is set a recurring alarm on my phone every Saturday to remind me to update the journal. Sure, I won’t have always be in the mood or have topics to write on but the alarm should be a good reminder and help spur me on. The last 6 months to a year have been ideal for my portfolio. It’s a little too ideal and I’m starting to get quite concerned, especially with the frothy stock market in general. The multiples of some of my holdings have definitely expanded quite significantly during this period. The silver lining to this is that the underlying growth engines of the businesses appear good. Perhaps for a start, I’ll get into discussing about my largest holding in my portfolio. Yihai is listed in Hong Kong. It is the exclusive condiment supplier to Haidilao and came to the market by way of a ‘spin off’ by Haidilao, though Haidilao remains a private company. Haidilao is of course the Chinese high-end hotpot chain famous for their unparalleled service, with outlets across China. Haidilao is particularly popular in Singapore. The largest shareholders of Yihai are the co-founders of Haidilao while Yunfeng Capital, an Alibaba-linked company, is also a significant shareholder. I first came across Yihai when I read a Bloomberg article in April 2017. While I’ve visited Haidilao in Singapore and China, I had no idea the condiment part of the business is listed. The food at Haidilao is not bad. But as a penny pincher, I sure as hell wasn’t going to splash that much money too often to dine there. It typically costs me S$40 to S$50 each time I visit Haidilao and probably goes higher for others. That said, the service at Haidilao is impeccable with snacks and manicure provided to diners waiting for their tables to be ready. Oh, did I mention the queues are long. To have the privilege of dining there during peak hours, on average, you’ll need to wait up to 2 to 3 hours to. Talk about crazy. Even at midnight, there are still groups of people awaiting for their turn to dine. One might ask, what has this got to do with Yihai? The answer is, everything. Yihai spins money if Haidilao is perpetually full and remains in consumers’ favour, since every single group of customers walking in are sure to include as part of their meals, Yihai’s condiments. Yihai also sells its soup base in packet form to be consumed at home. They retail those in supermarkets, even in Singapore, and also on online platforms like the highly popular Taobao – thus the Yunfeng / Alibaba connection. The fantastic thing about Yihai’s business model is that its cost base and capex requirements are much lower than Haidilao itself. All Yihai needs to do when Haidilao expands with more outlets is to put in extra shifts to utilise existing machines or buy more machines to house within existing premises. OK, that’s over simplifying matters as Yihai likely needs to sometimes build new factories in far flung regions in China when Haidilao does expand to other provinces. But the set up cost for a new factory is largely one-time. Yihai is essentially a manufacturer and the key idea is that Yihai has the ability to scale up without great difficulties and can ride on the coattails of Haidilao almost for free since the bulk of marketing expenses and building of goodwill among customers will be borne by Haidilao. Revenue grew 57% in the 6 months ended 30 June 2017 to RMB631m while net profit grew 99% to RMB70m. This is taking into account RMB24m in forex losses which is largely out of the company’s control. 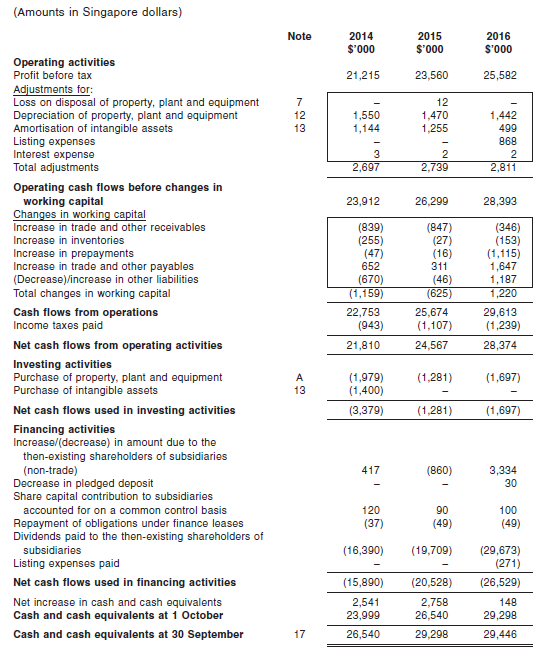 Operating cashflow paints a different picture. It dropped from RMB63m to RM28m. In my opinion, it’s not a big cause for concern. The reason for the drop is mainly due to working capital changes. Specifically, trade payables dropped 38% by RMB27M. In my opinion, this is more of a timing issue. If it had grown in accordance with revenue growth, an extra RMB65m in cash flow would have been added back and the normalised figures would have seemed less scary. Payable turnover days were at 31.2 days, which is reasonable. On the receivables end, things look right, with a 43% increase in trade receivables that took up RM29m and a 50% increase in prepayments that took up RMB19m in operating cashflow. That’s in line with the revenue increase over the last 6 months. The good news is, inventories level remained stable, meaning there’s less risk of expiry and obsolescence. Capex and land use rights were reasonably low at RMB8m. 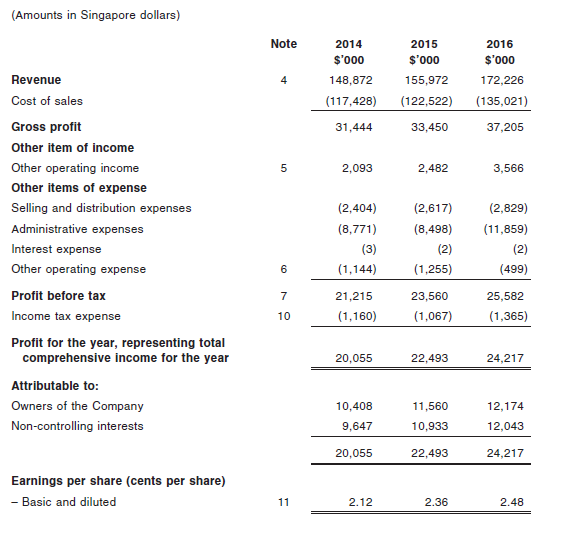 In short, when when the cash flow figures are normalised, I’m comfortable that there is a low risk of financial shenanigans going on in Yihai’s financial statements. The business sits on a mountain of cash. To be exact, it’s RMB975m or 69% of total assets of RMB1,422m as at 30 June 2017. If that’s not good enough, Yihai also has zero debt and it’s total liabilities stands at just RMB119m. Past performance isn’t indicative of future performance. We all know that caveat. Just because revenue and earnings grew more than 50% over the past 6 months doesn’t mean it will do the same 6 months later. But consider this. According to the Bloomberg article I mentioned earlier, Haidilao has about 180 outlets in April 2017 and it intends to open another 80 in 2017 – a 44% increase. Considering the fact that Haidilao was established in 1994 or 23 years ago, the historical pace of outlet opening equates to an average of about 8 a year. 80 in less than a year does sounds quite out of wack. 2012 and has grown to 5 currently in 5 years, with another 1 on the way. That’s unexciting, but the much larger markets in China and the region are likely to hold plenty of promise for Haidilao and correspondingly Yihai, given the relatively low base in terms of outlet count they are at. This is despite being in business for 23 years. 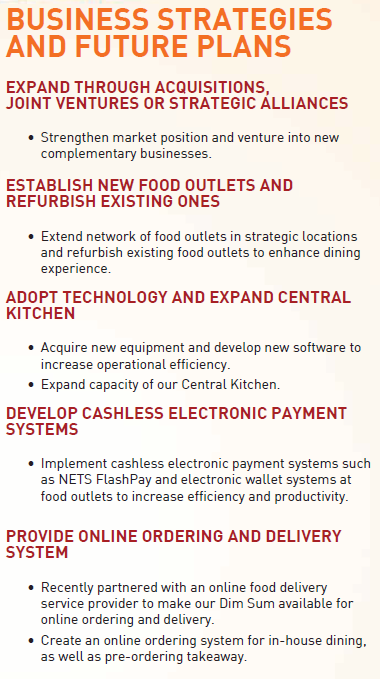 Opening 80 outlets in a year does sound unbelievable but there seems to be a case to be made here in terms of a faster pace of outlets opening. As at 31 Dec for 2014, 2015, 2016, the total number of outlets in China alone were 111, 142 and 167 respectively. In just the first 6 months of 2017, they opened 25 in China alone. Haidilao does seem to be accelerating its growth pace. A clue to their plans is in an announcement made by Yihai on 18 September 2017. There is a revision in the sales and volume caps in Yihai’s products to be sold to Haidilao, with an increase of 38% in FY2017 and 61% in FY2018. Another clue that these plans are more action than talk is the RMB300m in capital commitments to be spread over 3 years which they have earmarked for a factory in Hebei to ramp up production. The factory is currently under construction and is set to open in different phases through 2020. But even after all this, friends around me continue to flock to Haidilao. At a bunch of friends’ urging, I was supposed to go for a round at Haidilao this week. We got a queue number hours before hand and it only got shelved at the last minute because a few friends called in sick (not too ideal to be dipping chopsticks into a communal hotpot shared among friends who are ill, no matter how much people try to convince you hot boiling soup will kill all germs). Sure, the same sanitation scandal brush that tainted Haidilao in China may not have the full effect on the minds of consumers in Singapore. Nevertheless, I think this anecdote goes to show the strength of the confidence consumers have in Haidilao. What’s good for Haidilao is good for Yihai. And we aren’t even talking about the potential of third party sales, which includes online and supermarkets, accounting for 31% of total revenue in the first half of 2017. Yihai has a high ROIC of 77% in FY2016 and 68% in the trailing 12 months period ended 30 Jun 2017. Due to its cash exceeding equity and lack of debt in FY2015, ROIC was infinity in FY2015. Clearly, Yihai has a superior business that’s able to generate high returns on capital. The great thing about the high ROICs is that Yihai does indeed have avenues to reinvest its capital, which it will do so in the RMB300m factory it is building. Brand – On the retail sale of its condiments, Yihai derives its brand power directly from Haidilao. The more popular Haidilao is, the better its retail condiments, as well as its prepared condiments at Haidilao’s outlets sell. It’s beyond doubt Haidilao has a strong brand as among the most premium of hot pot chains in Asia that stands for quality and service. For a competitor to come in, it will take an almost insurmountable effort and time to capture the mindshare of consumers, not to mention the money to be spent on advertising and marketing. I can’t say for certain how long it will take a competitor to reach that brand recognition Haidilao has but I suppose we will need to bear in mind it took Haidilao 2 decades to get to where it is today. Economies of scale – Yihai’s advertising and marketing expenses are essentially free since it coat tail rides on Haidilao to sell its retail condiments. On the wholesale side, Yihai doesn’t have to market itself to its biggest customer. Yihai’s symbiotic relationship with Haidilao means Yihai has an obligation to set up a factory to supply to more and more outlets as Haidilao expands. This results in fixed costs of the factory being spread out over time. I would also imagine that the incremental cost of additional machines is small compared to the large volumes it can potentially supply to a newly opened Haidilao, which typicaly ramps up quite quickly given Haidilao’s popularity. I can definitely foresee Haidilao’s staying power in the region and beyond for the next 10 years. Despite having products that are key components of Haidilao’s hotpot experience, I doubt Yihai’s pricing power in its largest segment – selling to Haidilao – is strong. Yihai likely has agreed pricing policies with Haidilao and is unlikely able to charge prices at will. That said, Yihai’s fast growing segment in selling to third parties could be a different. The prices for Haidilao soup base condiments at a supermarket in Singapore retails at a rather reasonable price as compared to its competitors products sitting on the same shelf. I was surprised as I thought a brand as strong as Haidilao could easily charge a much higher premium and consumers would still be willing to pay for it. Between Haidilao condiments and its competitors, I would choose the Haidilao brand any time for the perceived quality and taste assurance. Several friends who came across the retail packets had the same conclusion. A quick check on Taobao showed that the authentic retail packets are retailing at a similarly low price point of USD3 or less. Because of how small the cost component is compared to the meat ingredients that goes with the hotpot, I reckon that even a 20% increase in prices (USD0.60) will do little to reduce demand. 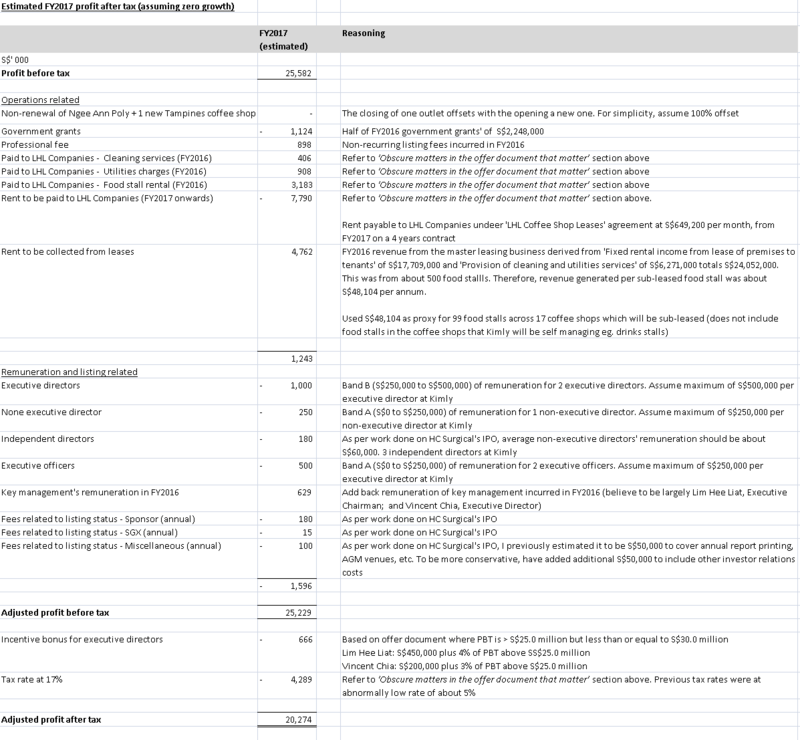 Since I’m comfortable that Yihai’s earnings aren’t fudged, here goes an attempt to value the business. Projecting revenue to be generated from just condiments to Haidilao in FY2018, assuming Yihai reaches just half of the 61% increment in the revised cap of condiments to be sold to Haidilao, revenue would be RMB1,238M in FY2018. To check the reasonableness of it, on a historical revenue per outlet basis, I’ve worked out some sums and arrived at RMB3.2m per outlet in FY2015, RMB3.6m per outlet in FY2016. If Haidilao does open a total of 80 outlets in FY2017, the store count on 31 Dec 2017 would be 247 and the corresponding revenue for FY2017 would be RMB889m based on RMB3.6m per outlet. This is 39% away from the RMB1,293m to be achieved by FY2018 if everything goes well and according to my estimates. For the rest of the business segments such as sales to third parties and other products to Haidilao and third parties, assuming Yihai obtains the same growth rate achieved in the first half of FY2017 and has zero growth in FY2018 (very unlikely to be zero), these would add another RMB842m to revenue, for a total of RMB2080m. This is nearly double of what was achieved in FY2016 or just 58% away from trailing 12 months revenue. It’s a high number that I’m not usually comfortable with projecting or believing most companies can achieve but I think given how resilient Haidilao and Yihai have been, I don’t think it’s an overly far-fetched target for them. Margins wise, historically, it improved from 15% in FY2015 to 17% in FY2016 while for the first half of FY2017, it improved to 11% from 9%. This is having taken into account a relatively significant forex hit of more than RMB20m to its operating profit of RMB127m in the first half FY2017. I’ll conservatively assume margins for FY2018 to stay the same as that in FY2016 at 17% and to also account for the depreciation of the investment of RMB300m for the factory being built in Hebei. Rounding it all off, we get a projected net profit of RMB354M for FY2018 or HKD415m. Just to see gauge what the further upside could be if things go really well on the production execution, I think an extra 2 percentage points in met margins wouldn’t be unreasonable. Should that happen, net profit goes up to RMB385m or HKD465m. 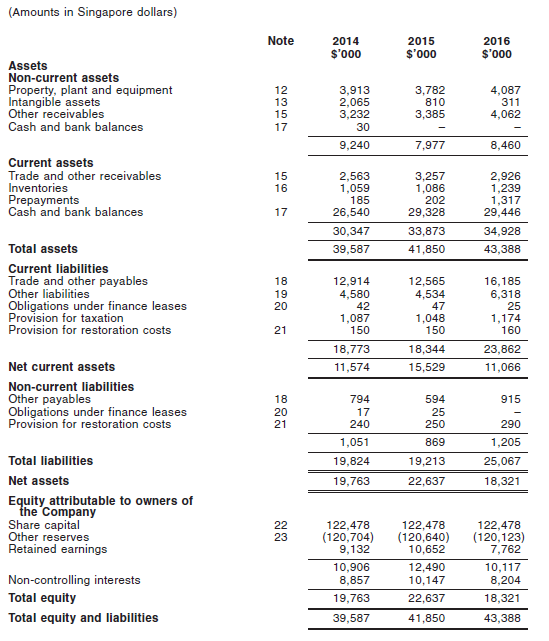 Given that the payment terms of receivables appear to be on a one month basis, the receivables growth rate checks out in the previous analysis and the seemingly reasonable historical capex, I’m comfortable with the estimated net profit as a proxy for free cash flow. With a cash balance of RMB975m or HKD1,144m as at 30 Jun 17, and a market cap of HKD7,464m as at 27 Oct 17, the EV works out to be HKD6,320m. I did not subtract the factory investment costs of RMB300m since Yihai should be able to generate much more than the RMB300m by the time 2020 rolls in. All in all, EV to net profit that’s projected out in FY2018 on a 17% and 19% net margin comes up to between 13.6x to 15.2x or a yield of 6.7% to 7.3%. For a company with such a good growth profile, strong brand name (by way of Haidilao), scalability and most importantly, largely undisruptable by new technology, I think 13.6x to 15.2x is a very reasonable valuation range. Even one of the worst situation that can befall on a F&B business – a sanitation scandal – seemingly failed to make any long lasting negative impact on the perception of consumers. Plenty can happen. Let’s explore a few key ones that would have the largest impact. I don’t have too strong a variant perception as over the past few months, the market seems to have realised and priced in part of growth potential. I believe the market has not fully priced it in yet though for the reasons below. – Growth – The market doesn’t fully believe Haidilao can execute on its growth plans on 80 outlets for FY2017 and even if that does happen, the growth in FY2018 and beyond remains a question mark. In my mind, even if outlet openings by Haidilao slows dramatically in FY2018 and beyond, the impact will be well mitigated by the growth in its sales to third parties. This segment of the business is somewhat less unhindered by Haidilao’s rate of outlet growth, and has room to grow as long as the Haidilao brand stays intact. 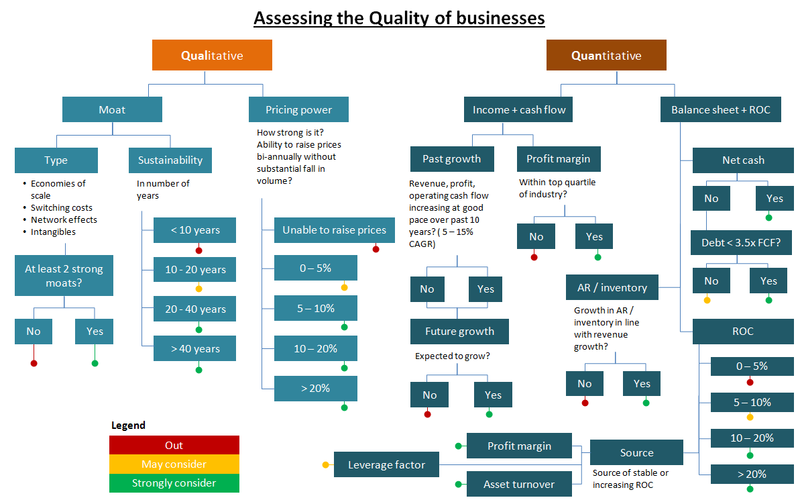 Yihai should trade at a higher multiple given the high quality and growth profile of the business. Overall, my opinion is that 13.6x to 15.2x for Yihai’s FY2018 earnings is a reasonable multiple to hold and add a little more of. A fair valuation multiple would be nearer to 18x to 20x (HKD8.20 to HKD9.00) for the current expected growth rates till 2018, and anything above that, I would strongly consider selling down at a good pace. I first bought Yihai sometime in May 2017 and dollar cost averaged up. To date, my position in Yihai has generated 57% in returns. I sold the last of my stock position in Ebix on 1 December 2016 at US$58.45. In this post, I look back on the journey and the lessons drawn. At that time, Ebix received some really bad press, in particular, a short seller report by Gotham Capital alleged that Ebix was laundering money, evading taxes and had a host of accounting issues. Needless to say, the stock took a beating and was among the most shorted stock in the US. At the initial stages, my thesis was that an investment in Ebix was going to be a binary outcome. It was either a giant fraud and will go to zero or it is an extremely misunderstood opportunity whereby the potential returns are going to be pretty great. I thought it was more likely that Ebix was misunderstood than it being a fraud. If it was a fraud, my investment was going to zero no matter what instruments I use. However, if I am right about Ebix, I wanted my returns to be asymmetrically skewed towards the sky. As such, I structured the investment accordingly by purchasing options in November 2013 at US$2.80 with a strike price of US$11.00, expiring in June 2014. At that point in time, the stock price was US$11.87. I then sold the 6-month option about 5 months later in April 2014 for US$6.01 for a 115% gain to lock in profits and as there was a relatively short duration left before expiry. I would have gladly bought LEAPs to let the investment stretch out over a longer period of time but as it was a small cap company then, there were no LEAPs available. 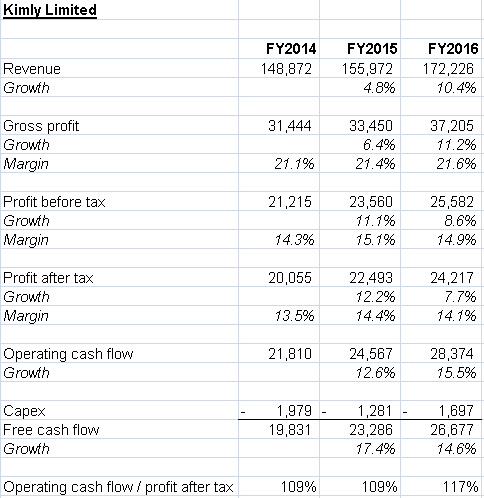 As I dug deeper into Ebix, I realised that the investment case was not as binary as I initially thought it to be. Beyond my thoughts jotted down in my write-up on 14 March 2014, I realised there was a quirk in the buy-out deal Ebix made with Goldman Sachs that was most interesting and gave me the confidence to then plough the proceeds generated from the sale of the Ebix options into the stock. Despite the negative news swirling around Ebix, Goldman Sachs continued on with the due diligence and came out saying they would proceed. That proved short lived. While the deal eventually fell apart, it appeared to be mainly due to mounting public pressure and embarrassment by association rather than any tangible business negativity they found in Ebix. The interesting quirk that I mentioned was the fact that the going-private deal had a provision which enabled Ebix’s CEO to increase his stake rather significantly in Ebix AFTER it has gone private. Why would the architect of Ebix who allegedly perpetuated money laundering, tax fraud and cooked the books increase his stake in a sinking ship? That did not make sense to me. I would have thought the CEO, Robin Raina, would have been very keen to sell out his entire stake if there was any truth in the allegations. However, the market did not seem to take much notice of it. Along with the strength of Ebix’s financials and business, and with this important bit of information, I took the contrarian view and started purchasing the stock. Over the past few years, I added to the position at different stages with the price ranging from US$16.10 all the way up to US$28.70. The stock price went way beyond my initial conservative price target of US$21.10 but the business remains sound and earnings, along with the price multiple outgrew what I initially assessed it to do. As the price kept marching upwards, I assessed the valuation and grew increasingly nervous. I started selling the stock in May 2016 till December 2016 between the price range of US$45.84 to US$61.10. 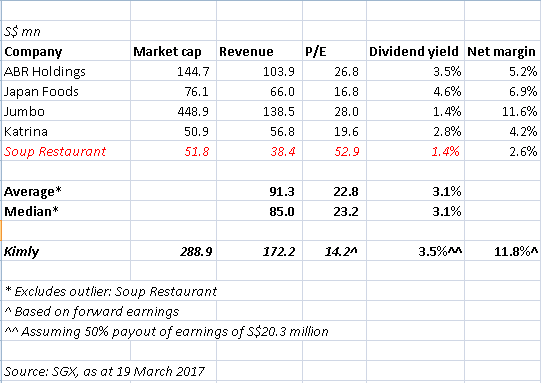 I felt that the FCF/EV yield was getting stretched and at a trailing-12-months yield of 3.3% given the stock price of US$59.70, I thought the stock price has gone way ahead of its fair value and it was time to completely sell-out for reinvestment into areas where the risk-reward ratio are more attractive. I continue to love Ebix’s highly recurring revenue business model of charging its customers on a per transaction scheme rather than the conventional systems set-up model. While I doubt the valuation will ever come back to levels reached in 2013, if valuation starts moving towards a FCF/EV yield of 6% or better, I will definitely start to be interested again. Between the first purchase of the option when the price was at US$11.87 till the highest price I sold the stock at US$61.10, it moved upwards by 415%. While the number is not entirely representative of the total returns generated as I bought and sold along the way, the 3 years journey culminates in probably the best percentage and absolute returns generated on my portfolio thus far on an overall basis. I highly doubt I’ll ever be able to see one of my positions move upwards in such a dramatic manner. The conditions at the point of purchase that set up this successful investment were unique and unlikely to be repeated in the exact same way again. However, the lessons drawn from this episode certainly are valuable and it would benefit me to keep them close to heart.